In Untitled, Maier-Aichen’s image compels with an aberrant surrealism through its bizarre perspective and intense hues. In a scene more reminiscent of science fiction invention than natural phenomenon, distant mountains give way to an expansive plateau which suddenly drops off into an engulfing tree covered gorge; a cluster of tiny structures balancing precariously on its edge. 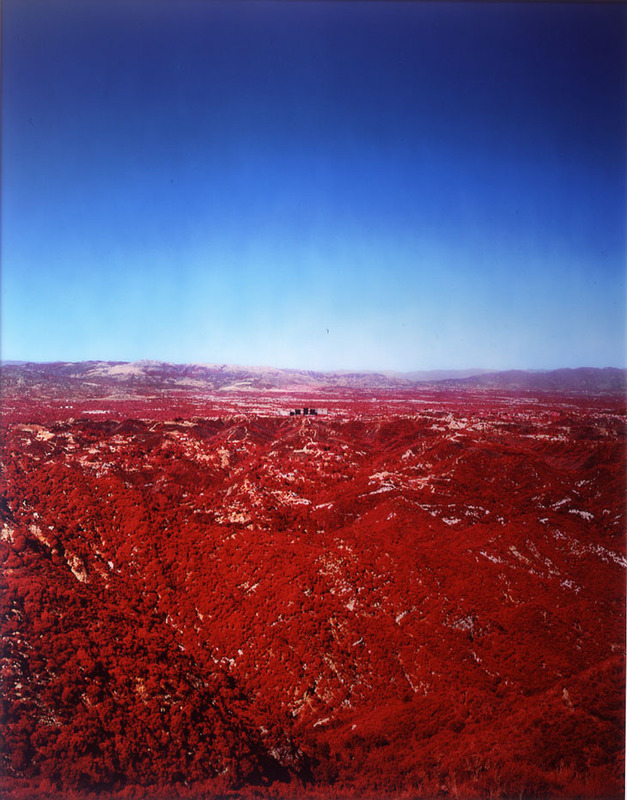 Exaggerating the sky’s vivid blue canopy and bathing the vegetation in a mephitic red, Maier-Aichen’s otherworldly terrain manipulates the photographic ‘real’ into a language more indicative of painting, invoking the sublimity of Abstract Expressionism in his boding terrain.